Merja Varkemaa is originally from Finland but has been living in Paris for over 20 years. She has a Master of Arts degree in Translation studies in English, French and Swedish. 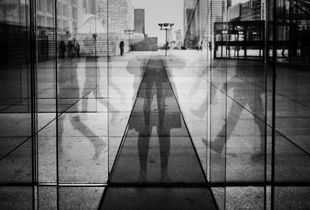 Her interest in photography started during her travels and after many years of relocation in Paris, grew into a passion for street photography. Merja's fine art street photography is based on her pursuit of light and shadows, using both their contrast and complementarity to enhance the beauty of passing moments. She also enjoys capturing the simplicity of a spontaneous instant in her environmental portraits.